When you set up a scope on your rifle or crossbow, you need sight it in. It doesn’t matter if it’s a full-fledged scope with a great reticle, or just a simple red dot scope. You might assume it’s hard to sight in a scope, but it really isn’t. The only thing to bear in mind is that if you can’t shoot tight groups yet from 20 yards, you’ll never succeed. So, if you’re a beginner to shooting, rifles or crossbows, you should take 50 to 100 shots first, get used to the weapon and develop your accuracy, and then sight in the scope. This article will teach you how to sight in a scope. 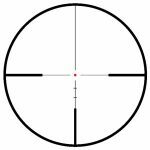 When you sight in your scope, your goal is to “zero” the very top reticle or dot for a certain distance. That distance is usually 20 yards, but some scopes might recommend otherwise. Read the owner’s manual first. Once you get the top dot or reticle properly configured to hit your target in the right spot from 20 yards, the rest of the dots or lines should fall into place. How Do I Adjust My Scope? Every scope has windage and elevation controls. These are usually covered by caps, which you have to remove to adjust the settings. 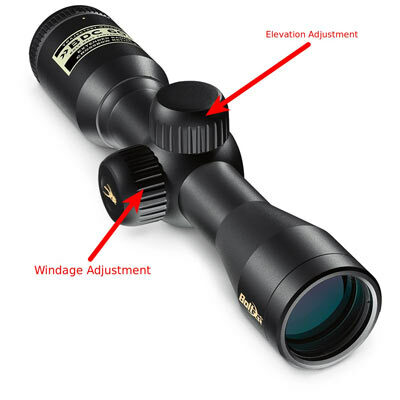 Windage, located on the side of your scope, adjusts how far your shot might stray to the left or right. Elevation, found on top of your scope, adjusts the shot up or down. Usually, you’ll turn the elevation dial clockwise to raise the shot’s point of impact. Counter-clockwise, on the other hand, will lower the point of impact. For windage, you’ll turn clockwise for right, and counterclockwise to adjust the shot to the left. 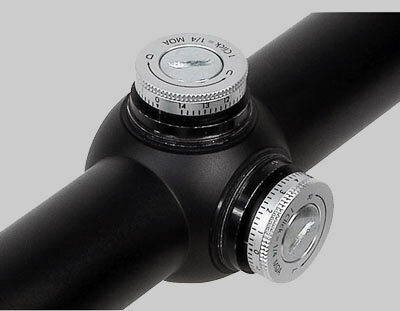 Some scopes feature “toolless” adjustments, meaning you don’t need anything to turn the windage and elevation dials. Most of the time, though, you’ll need a coin or flathead screwdriver to turn the knobs. Each time you move the windage or elevation dials, you’ll hear a click. Each click represents a specific unit of adjustment, measured in Minutes of Angle (MOA). Most scopes will provide you with 1/4-inch adjustment from 100 yards for every click. Since you’re sighting in from 20 yards, that means every click should move the point-of-impact by a 20th of an inch. 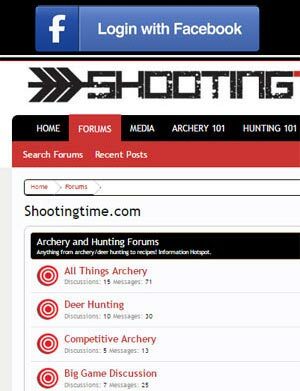 First of all, make sure you have something to support your crossbow or rifle. This can be a tripod, or just a shooting bag. The idea is to make sure your weapon is fixed in place so it doesn’t move much when you pull the trigger. To start off, you want to stand precisely 20 yards away from your target. Load your rifle or crossbow, make sure it’s cocked, and then take aim. 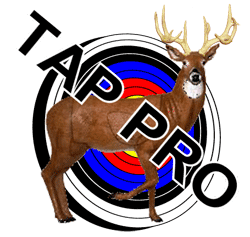 You want to aim for the bull’s eye using the top-most red dot or reticle. Squeeze the trigger quickly but smoothly, using just the tip of your index finger. Do this three times, and then approach your target. Make note of how far off your shots are. For example, you might have a grouping that is tight, but landed an inch to the left and two inches below the bull’s eye. Using a tape measure, get the exact distance in inches. Then return to your crossbow or rifle, and adjust the windage and elevation. In the example above, we were an inch to the left and two inches below the bull’s eye. In this case, we would adjust our windage by 20 clicks counter-clockwise, assuming our scope had 1/4-inch MOA adjustments at 100 yards. Remember, 1/4-MOA at 100 yards means a 20th of an inch from 20 yards. Our elevation was off by two inches to the bottom, so we need to adjust the elevation dial 40 clicks counter-clockwise. Now, you should take three more shots. If we were right in our adjustments, you should be on the bull’s eye now. If they aren’t dead-center, take more measurements and then adjust your windage and elevation accordingly. If your scope’s manual says to sight in at other distances, now is the time to do that. Typically, you’ll make fewer adjustments from longer ranges. When you are sighting in a scope in the real world, it might take some time and effort. It won’t always be as easy or quick as we described. Take your time, be patient, and remember that it gets easier as your shooting skills improve. 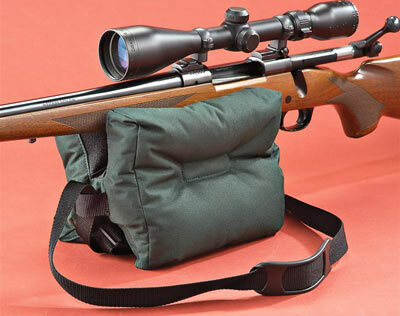 On average, it will take between 10 and 30 minutes to sight in most rifles or crossbows. You should also be careful not to lose the protective caps for your adjustment knobs. Never place them on a table or the ground; put them in your pocket. Finally, just to reiterate, make sure you’re able to shoot tight groups before you attempt sighting in a scope. If your shots are scattered all over the target, it will be impossible to determine whether the problem is with you or the scope. No amount of sighting adjustments will make up for your own aim and technique.